CLICK HERE to open the latest issue. On the cover: Sandra Langenbucher exults at the top of an incline on Hampton Street. Photo Credit Ed Kelleher. Got a story to share? Submit it to Miles & Minutes for an upcoming issue! The deadline for the Spring 2019 issue is April 28, and it will arrive hot off the presses in late May...but it's never too early to send in an article. Don't forget, your written submission will earn you 2 points toward the 2019 Grand Prix! If you're interested or have any questions, please contact Mark O'Brien at milesandminutes@rrrc.org. CLICK HERE to view the complete newsletter. 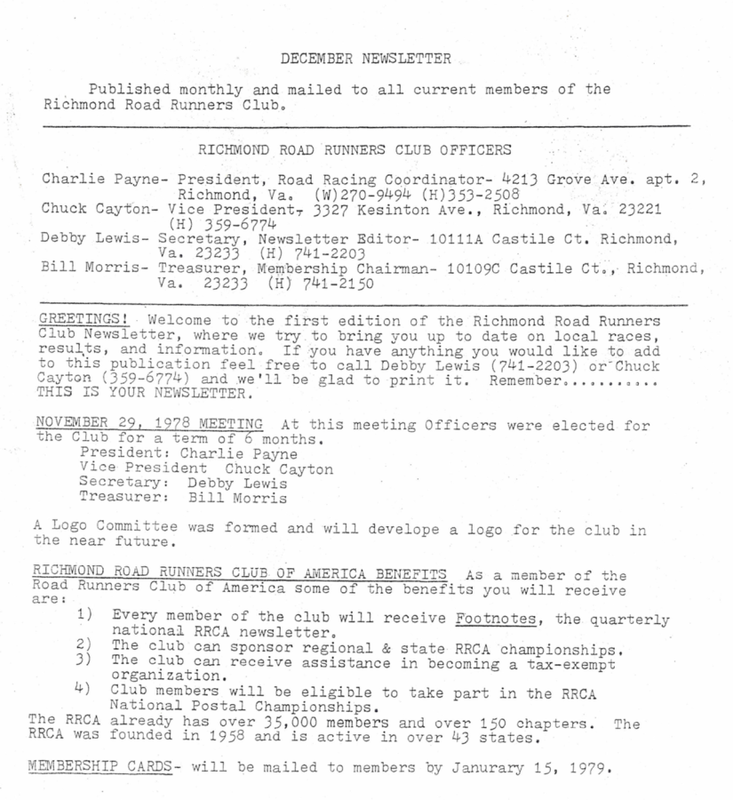 Miles & Minutes is the Richmond Road Runners Club's newsletter, published quarterly. It features health and fitness articles, information about upcoming races, and personal interest articles by and about club members. Miles & Minutes is available electronically as a downloadable pdf file. If you don’t have a pdf reader on your computer, you can download one free at www.adobe.com. 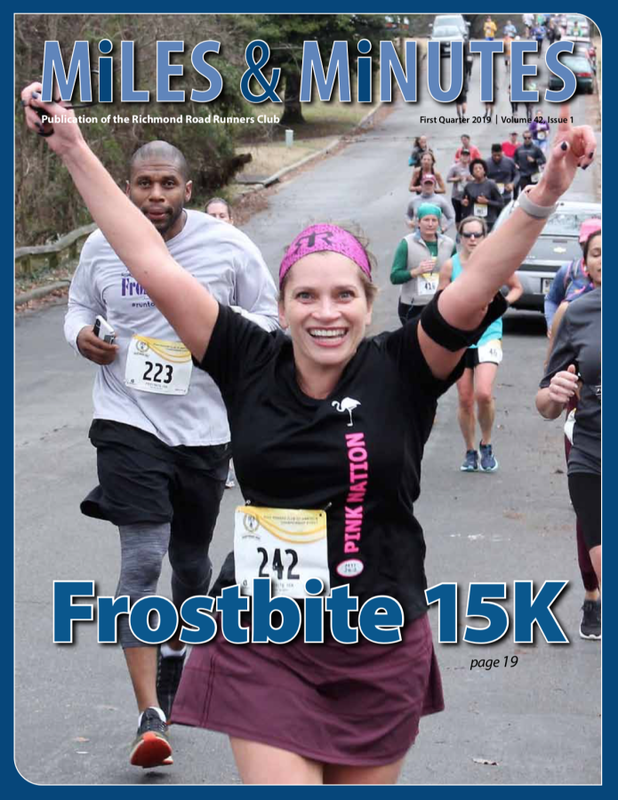 Advertise your business, product, service, or upcoming race in Miles & Minutes. Our membership is a select group of individuals who really want to hear about your product. Miles & Minutes has a distribution of about 2,500 copies per quarter! As a non-profit, we limit our advertising to items related to running or of interest to runners. Our rates are very inexpensive. Contact the Miles & Minutes Editor for more information. 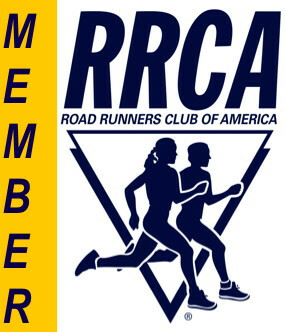 © 2019 Richmond Road Runners Club - We Run RVA. Powered by RunSignup. © 2019 Richmond Road Runners Club - We Run RVA.